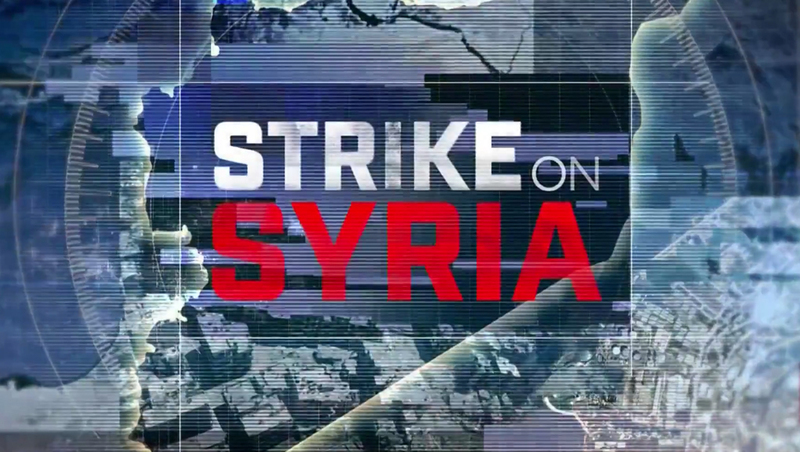 MSNBC and CNN both rolled out special looks and branding for coverage of the strikes on Syria. 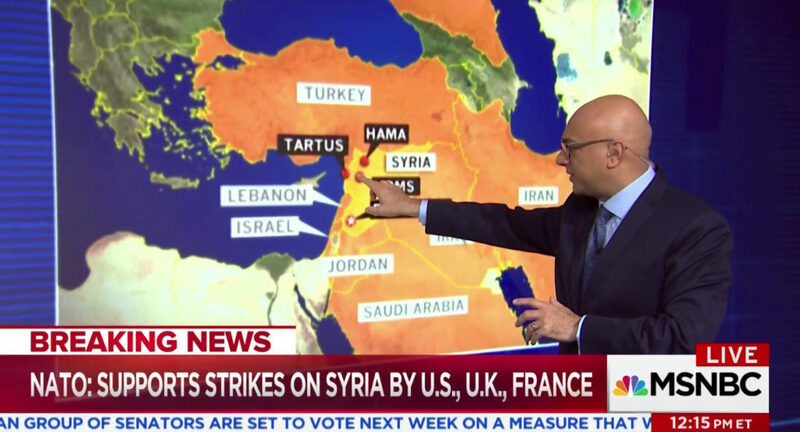 Both networks used the “Strike On Syria” banner — though MSNBC used a blue background with map and target imagery and the work “Syria” in red. 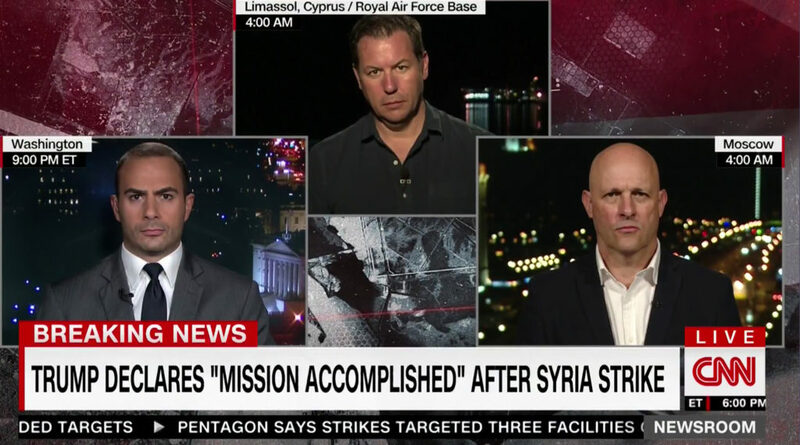 CNN, meanwhile, stuck with a modified version of its special coverage look with red, white and a map background. 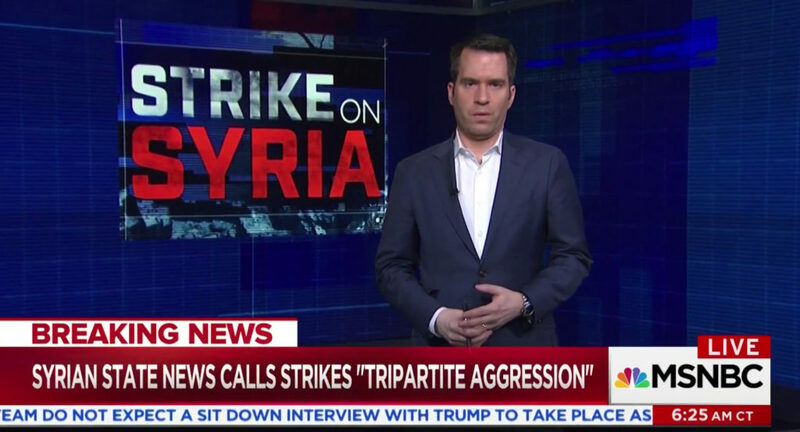 MSNBC’s coverage Saturday originated from the corner video wall in Studio 3A, with talent standing for much of its coverage in front of matching topical graphics. 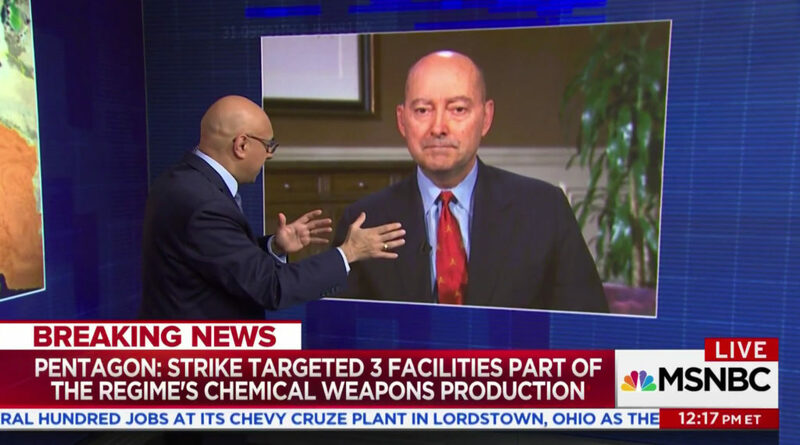 The video walls were also used to showcase maps and for “face to face” interview shots with remote guests. 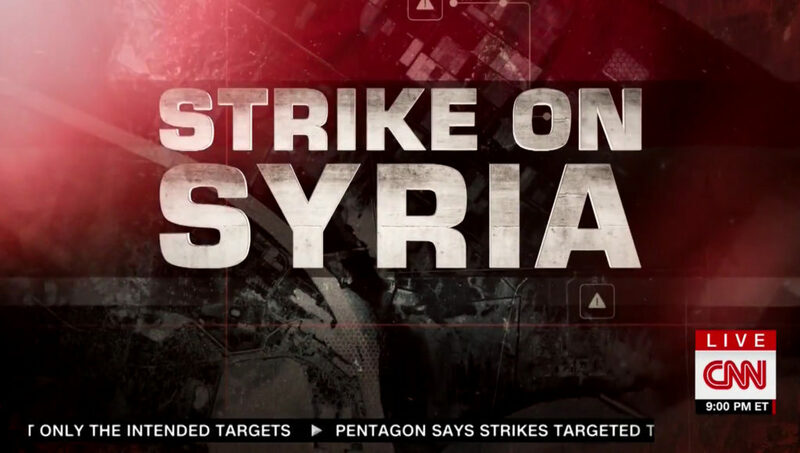 The red, map background found in CNN’s opens was also used during rolling coverage of the bombings. Fox News did not use special branding or graphics, instead using its “Fox News Alert” umbrella.